Claire Weiller is a PhD student at the Institute for Manufacturing. Her research focuses on entry strategies into emerging industries, specialized in innovation in energy services and electric transportation. Her background in quantitative modeling of energy systems led to her current interest in business strategies for a sustainable transportation future. She has previously worked at the International Energy Agency in Paris and at the Electric Power Research Institute in Palo Alto, California. She has experience in the private sector as a commodities research analyst for a major investment bank in London, and as an energy trading analyst in Switzerland. Claire holds a MSc. in Energy Science & Technology from ETH Zurich and a BSc. in Environmental Sciences from McGill University. 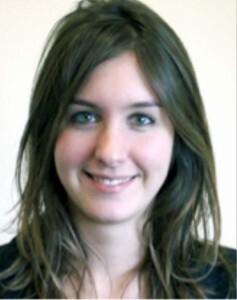 Her PhD research is affiliated with the Cambridge Service Alliance and the Electricity Policy Research Group. Her work is kindly supported by the R&D Management Association and the Benavitch scholarship at St Catharine’s College.